Deciding what to get your child for their first birthday can sometimes be difficult. When people asked me what the girls wanted/needed for their first birthday, my first answer would usually be “Nothing. They have everything they could possibly need.” Because it was true. I couldn’t think of anything that they needed. Plus I did not like the thought of having a whole bunch of new toys laying around the house for a 1 year old that could barely use them. 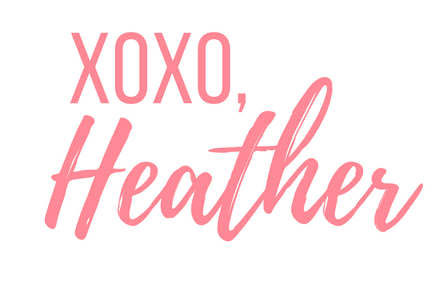 After two little ones, I’ve decided that the best first birthday gifts are the ones that can be used and enjoyed for years to come, and each of these items on this list fall into this category. This one is a classic and one that a little one year old can enjoy just as much as a 5 year old. Each of my girls have a chair similar to this and they LOVE them. They pull them up next to each other to watch a movie, color in coloring books or read. These comfy and adorable chairs are the perfect addition to a little reading nook or play area. Because every kid needs a wagon! Wagons are so cool these days with bucket seats, canopies, and cup holders. They even have seat belts for that squirmy one year old that wants to climb out. These are perfect for strolling around the neighborhood, or you can easily fold it up, toss it in the car, and take it with you wherever you need to go. We have this exact elephant rocker and my girls have always enjoyed hopping on it and rocking their hearts out. There are several animals besides elephants to choose from, so you’re sure to find the perfect fit for your child! This water table is another one that never gets old. For some reason kids just love these little tables! I actually gifted this exact sprinkler to my cousin’s little boy for his first birthday. I remember thinking sprinklers were the best thing ever when I was little, so I know kids would love playing with this! It’s especially great if you don’t have a pool and would like a way to cool off on those hot summer days. These are a classic and babies love them. It’s fun to watch their reaction as they pop up and to watch them learn over time what the animals are called and the noises they make. It always amazes me how quickly kids catch on to puzzles. While they may not be able to complete these puzzles at a year old, like the pop-up toy, it’s so fun and satisfying to watch them learn how to match the pictures and learn the animals names and sounds. We have so many of these chunky puzzles and I think they are the best learning tool for little minds! Teepee‘s are all the rage right now…and I can see why. I would have LOVED one of these as a kid. For some reason kids love being inside/under things (which is why forts are so much fun), so having a teepee that you can climb inside and play, read, color, or take a nap in is a dream come true! I just love these soft body baby dolls, and so do my girls. They are perfect for little one-year-olds to snuggle with and they will still love taking care of them years down the road. This baby doll stroller is great for them to push around when they learn to walk. It’s so cute to watch little girls pretend to be little mommies. If you have a spot to hang it, these swings are great! We don’t have a spot at our house, but my parents have 3 of them at theirs for the grandkids and they all want to swing at the same time. I love these little Precious Moments trains because it’s something you can add on to each year for years down the road. Raley has the Disney Princess train and Audrey has the animal train. At first it wasn’t their favorite gift to get because they couldn’t play with it, but now Raley (4) looks forward to which princess she’ll get next and gets excited about adding it to her train. 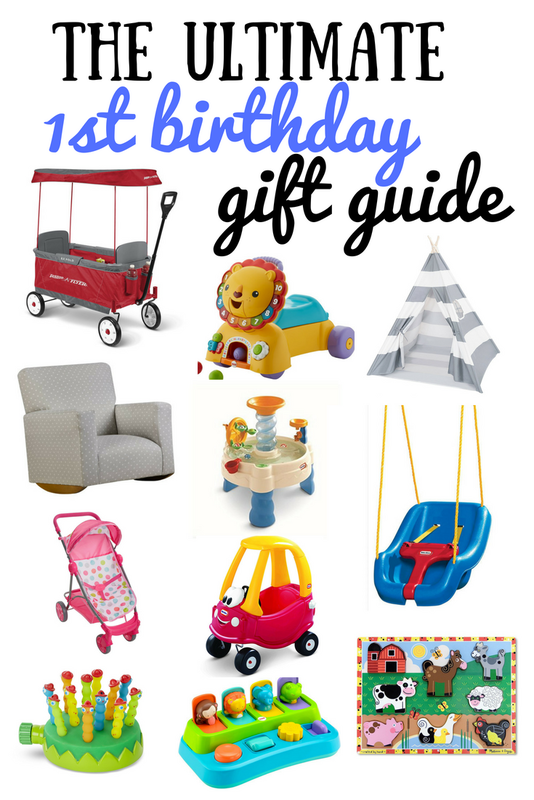 What are your favorite first birthday gift items? Do your kids have any of these? I love this list! Thank you for the fantastic ideas!